Professor Kuhn’s research area is digital and translational medicine, with a specific focus on integration and security architectures. He and his team develop innovative IT concepts and solutions in large national and international projects. Professor Kuhn holds degrees in computer science, mathematics and medicine (Dipl. Inform., Dipl. Math., Dr. med., Dr. med. habil.) from the Universities of Stuttgart, Freiburg, Tübingen and Ulm. He worked at the University Hospitals of Heidelberg and Ulm. From 1996 to 2004 he held the Chair of the Department of Medical Informatics at the University of Marburg (Philipps-Universität Marburg). In parallel to this he was Chief Information Officer at the University Hospital of Marburg. In 2004 he was appointed Director of the Institute of Medical Informatics, Statistics and Epidemiology at TU Munich. He is also a member of TUM’s Department of Informatics. Between 2007 and 2011 he was president and vice-president of the German Association for Medical Informatics, Biometry and Epidemiology. Professor Kuhn was elected a Fellow of the American College of Medical Informatics (AMIA) in 2008. In 2018 and 2016 prizes were awarded to scientific work of his institute. Prasser F, Gaupp J, Wan Z, Xia W, Vorobeychik Y, Kantarcioglu M, Kuhn KA, Malin B. An Open Source Tool for Game Theoretic Health Data De-Identification. AMIA Annual Symposium Proceedings 2017 (Vol. 2017, p.1430). American Medical Informatics Association. 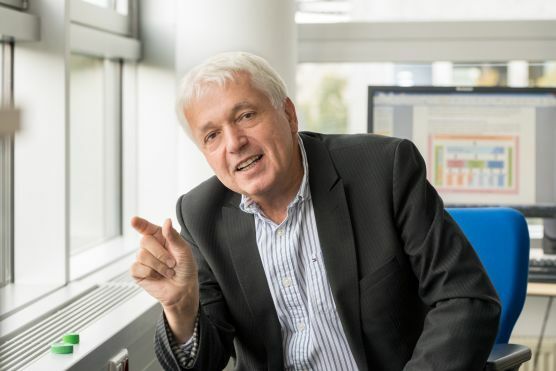 F Prasser received the Johann Peter Süßmilch-Medal of the German Association of Medical Informatics, Biometry and Epidemiology (GMDS) for this work. Brandizi M, Melnichuk O, Bild R, Kohlmayer F, Rodriguez-Castro B, Spengler H, Kuhn KA, Kuchinke W, Ohmann C, Mustonen T, Linden M, Nyrönen T, Lappalainen I, Brazma A, Sarkans U. Orchestrating differential data access for translational research: a pilot implementation. BMC Med Inform Decis Mak. 2017 Mar 23;17(1):30. doi: 10.1186/s12911-017-0424-6. Prasser F, Bild R, Kuhn KA. A generic method for assessing the quality of de-identified health data. Proc MIE 2016 at HEC 2016. August 2016. IOS Press. doi: 10.3233/978-1-61499-678-1-312. F Prasser received the Peter L Reichertz Prize of the European Federation of Medical Informatics for this work. Prasser F, Kohlmayer F, Kuhn KA. Efficient and effective pruning strategies for health data de-identification. BMC Med Inform Decis Mak. 2016 Apr 30;16:49. doi: 10.1186/s12911-016-0287-2. Altmann J, Büchner B, Nadaj-Pakleza A, Schäfer J, Jackson S, Lehmann D, Deschauer M, Kopajtich R, Lautenschläger R, Kuhn KA, Karle K, Schöls L, Schulz JB, Weis J, Prokisch H, Kornblum C, Claeys KG, Klopstock T. Expanded phenotypic spectrum of the m.8344A>G "MERRF" mutation: data from the German mitoNET registry. J Neurol. 2016 May;263(5):961-72. doi: 10.1007/s00415-016-8086-3. Epub 2016 Mar 19. Lautenschläger R, Kohlmayer F, Prasser F, Kuhn KA. A generic solution for web-based management of pseudonymized data. BMC Med Inform Decis Mak. 2015 Nov 30;15(1):100. doi: 10.1186/s12911-015-0222-y. Prasser F, Kohlmayer F, Lautenschläger R, Kuhn KA. ARX--A Comprehensive Tool for Anonymizing Biomedical Data. AMIA Annu Symp Proc. 2014 Nov 14;2014:984-93. eCollection 2014. Kohlmayer F, Prasser F, Eckert C, Kuhn KA. A flexible approach to distributed data anonymization. J Biomed Inform. 2014 Aug;50:62-76. doi: 10.1016/j.jbi.2013.12.002. Epub 2013 Dec 12. Oßwald A, Plomer E, Dimopoulou C, Milian M, Blaser R, Ritzel K, Mickisch A, Knerr F, Stanojevic M, Hallfeldt K, Schopohl J, Kuhn KA, Stalla G, Beuschlein F, Reincke M. Favorable long-term outcomes of bilateral adrenalectomy in Cushing's disease. Eur J Endocrinol. 2014 Aug;171(2):209-15. doi: 10.1530/EJE-14-0214. Riediger C, Mueller MW, Geismann F, Lehmann A, Schuster T, Michalski CW, Kuhn K, Friess H. Comparative analysis of different transection techniques in minor and major hepatic resections: a prospective cohort study. Int J Surg. 2013;11(9):826-33. doi: 10.1016/j.ijsu.2013.08.010. Epub 2013 Aug 28. HE Wichmann and KA Kuhn contributed equally to this work. Beyer M, Lenz R, Kuhn KA: Health Information Systems. it Information Technology 2006: 48: 6-11. Lenz R, Buessecker F, Herlofsen H, Hinrichs F, Zeiler T, Kuhn KA: Demand-driven evolution of IT-systems in healthcare - a case study for improving interdisciplinary processes. Methods Inf Med 2005; 44: 4-10. Lenz R, Beyer M, Meiler C, Jablonski S, Kuhn KA: Informationsintegration in Gesundheitsversorgungsnetzen - Herausforderungen an die Informatik. Informatik Spektrum 2005; 28(2): 105-119. Blaser R, Schnabel M, Mann D, Jancke, P, Kuhn KA, Lenz R: Using information technology to prevent medical errors in casualty surgery. Proceedings of the 2004 ACM Symposium on Applied Computing (SAC) 2004: 285-290. Kuhn KA, Giuse DA, Haux R: IMIA working conference on health information systems 2002 in Heidelberg, “Practical HIS Experiences”. Meth Inf Med 2003; 42: VI-VIII. Lenz R, Kuhn KA: Zur Architektur und Evolution von Krankenhausinformationssystemen. In: Dittrich K, König W, Oberweis A, Rannenberg K, Wahlster W (Hrsg. ): Informatik 2003 - Innovative Informatikanwendungen, Beiträge der 33. Jahrestagung der Gesellschaft für Informatik e.V. (GI); Band 2.: 2003: 435-444. Kuhn KA, Lenz R, Elstner T, Siegele H, Moll R: Experiences with a generator tool for building clinical application modules. Methods Inf Med 2003; 42: 37-44. Lenz R, Elstner T, Kuhn KA: Evolutionäre Entwicklung von Informationssystemen. Informatik Biometrie und Epidemiologie in Medizin und Biologie 2002; 33(2-3): 86-87. Lenz R, Elstner T, Blaser R, Kuhn KA. Experiences with a Holistic Health Information System. JAMIA 2001; Amia Symp. S 952. Lenz R,Kuhn KA. Intranet Meets Hospital Information Systems - the Solution to the Integration Problem? Methods Inf Med 2001; 40(2): 99-105. Kuhn K, Lenz R, Blaser R: Building a Hospital Information System: Design Considerations Based on the Results from a Europe-wide Vendor Selection Process. In: Lorenzi N.M. (ed. ): Proc AMIA Symposium 1999, JAMIA 1999; 6 (Symposium Suppl), 834-838. Kuhn K, Reichert M, Nathe M, Beuter T, Dadam P. An Infrastructure for Cooperation and Communication in an Advanced Clinical Information System. In: Ozbolt J (ed. ): Proc. 18th Ann. Symposium on Computer Applications in Medical Care 1994, JAMIA 1994; 1 (Symposium Suppl): 519-523. Kuhn K, Zemmler T, Reichert M, Rösner D, Baumiller O, Knapp H. An Integrated Knowledge-Based System to Guide the Physician During Structured Reporting. Methods Inf Med 1994; 33: 417-422. Kuhn K, Reichert M, Nathe M, Beuter T, Heinlein C, Dadam P. A Conceptual Approach to an Open Hospital Information System. In: Barahona P, Veloso M, Bryant J (eds. ): Proc. 12th Intl. Congr. Europ. Fed. Med. Inf. (MIE 94), Lisbon, 1994: 374-378. Kuhn K, Zemmler T, Reichert M, Heinlein C, Roesner D. Structured Data Collection and Knowledge-Based User Guidance for Abdominal Ultrasound Reporting. In: Safran C (ed. ): Proc. 17th Ann. Symposium on Computer Applications in Medical Care 1993. New York: McGraw-Hill 1993, 311-315. Kuhn K, Gaus W, Wechsler JG, Janowitz P, Tudyka J, Kratzer W, Swobodnik W, Ditschuneit H. Structured Reporting of Medical Findings: Evaluation of a System in Gastroenterology. Methods Inf Med 1992; 31: 268-274.